Helen Corner, founder of the Cornerstones literary consultancy, gives some guidance on how to ensure your non-fiction proposal lands on the agent’s desk and not in the slush pile. My job is to help authors through the redrafting and submitting stage; talent and inspiration cannot, as we know, be taught, but I strongly believe that a writer can be shown how to craft their skills and to approach the publishing arena in a confident way. Once you’ve finished your non-fiction proposal, it’s tempting to throw it into the publishing ether to see if someone will recognise your talent and commission your work. However, agents and publishers are a business and if something isn’t working – perhaps your writing is unformed, or your submission is incomplete or unclear – then it is likely to be rejected and they almost certainly won’t have time to give you feedback or tell you why. Agents and publishers often talk of metre high piles of unsolicited material – manuscripts (mss) sent in direct by authors - and their time is already filled with servicing their existing authors and taking on new clients, so your submission has to shine above the rest. The key to this is preparation and perfection. Part of what we do at Cornerstones is passing through first-time authors to agents, and each agent has different quirks and preferred ways of being approached. You’ll only know who likes what by carrying out your own research and this sense of care and targetting should shine through in your submission. So, draw up a list of three to four agents and profile them so that you target them in a personalised way. Look at their website, see exactly how they like work to be submitted; Google them to see if they’ve written any articles or have been written about in the trade press. When you introduce yourself in your cover letter, you want the agent to notice you and take you seriously. How professional it would sound if you mentioned, for instance, that you have read an interview on them in a writing magazine, and that you thought they might like to consider your non-fiction idea because they were currently looking for this kind of subject. You’re now ready to prepare your submission. You can either target one agent at a time – but be prepared for one month or so for a response, or you can target a couple at a time. If you do submit to more than one agent it’s important to say this in your letter (you don’t need to say who you’ve submitted to but you do need to be transparent with your approach) and tell them that you’ll let them know of any developments – this immediately signals professionalism in your approach because you’re aware of etiquette. By contrast, an agent will find it irritating if they think it’s an exclusive submission and then find out that another agent has already shown interest. I would advise against sending out your submission to more than three or four agents at one time, as it suggests a lack of conviction both in your work and in the agent you’re targeting. For non-fiction, usually all that is required is a proposal and an agent can make a swift decision based on this. Every agent works differently - some just require a cover letter introducing you, your idea and a market analysis of why your idea would appeal and then some sample chapters. Others may request a synopsis or an introduction (why you, why the subject), and perhaps a contents list which will allow the agent to see the areas you intend to cover, along with sample chapter(s). For non-fiction the most important thing is why you’re qualified to write it. You can either write as an authority on a subject - for instance, if you’ve written about a particular period in history you should have some form of academic or professional credential to back this up; or, you can write from personal experience – you might have grown up in Africa and wish to write about how apartheid affected you. Either approach will carry weight, as long as the subject itself is inherently fresh and interesting; agents see a lot of memoirs and very few are published, so to succeed in this sub-genre you must be telling an outstanding story. The agent will probably glance at your cover letter and then go straight to your writing, and their decision whether to take you on will be 99.9% down to you and the concept - are you high profile or ‘interesting’, and is this high concept, unusual and likely to sell – backed up by the quality of your style and delivery. Every second that the agent remains with your work counts, and you don’t want to give them any excuse to turn it down. The real key to a professional submission, irrespective of genre, is to ensure that your writing is as strong as you can make it. Even if you’ve redrafted several times and you’re convinced you can’t do any more revision, have one last read – perhaps read it aloud – and get someone whose opinion you trust to read it as well. Check your presentation: is it a standard type and font (Times Roman, 12 point); are your chapters numbered and double-spaced; does each chapter begin with the narrative left justified and each subsequent paragraph indented? Are all your contact details, and the agent’s, correct (have you called the agency to double-check the agent’s name and that you have the right address)? If you would like your material returned don’t forget the stamped addressed envelope, with stamps on it, and not the white sticker that the post office will try to give you, as this goes immediately out of date. And finally… remember that as a writer, your primary function is to be creative and original, so don’t lose sight of what you love to do, and persevere. 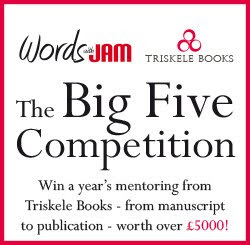 I wish you all the best in your professional submission, and I hope to see your book on the shelves on day. With a background in publishing, Helen is the founder of Cornerstones, and Kids’ Corner - a leading literary consultancy. ‘Rough diamonds’ in the slush pile inspired her to set up Cornerstones, to give authors feedback on what works in their MS, what doesn’t, and what they can do about it. She now heads a 60-strong team of readers, all professional authors or editors, who share her vision of helping writers. Cornerstones scout for agents and are known for launching new writers. Based on their workshops, Hodder commissioned Helen Corner and Lee Weatherly to write ‘Write a Blockbuster and Get it Published’. 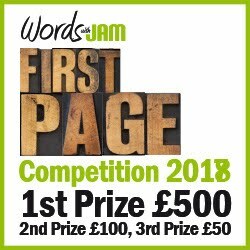 If you would like to participate in the Cornerstones Opening Page Mini Masterclass, send your opening page to submissions@wordswithjam.co.uk with the subject ‘Cornerstones Masterclass’.